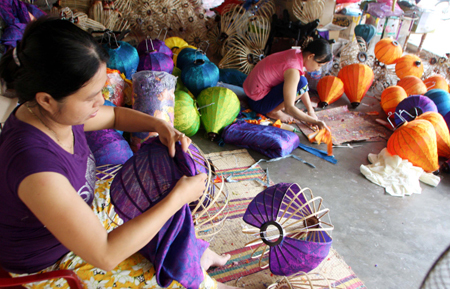 Traditional handicraft villages are the highlights of a full day tour biking to the countryside of Hoi An. Take chance to listen to the stories of local people about Hoi An’s traditional crafts, including wood carving, sedge mat making, water coconut and bamboo carving and vegetables and herbs planting; as well as to participate in some wood carving activities with the local carpenters. Furthermore, a basket boat ride to the coconut and bamboo carving village will make your day trip more fascinating and unforgettable. The tour starts when your English speaking guide meets you at your hotel in Hoian at around 7:30am. 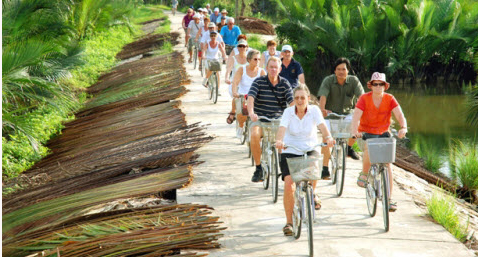 After brief introduction and some biking guidance, you will take a cycling trip to Hoian countryside. A local boat will bring you to Kim Bong - a village of wood carving. 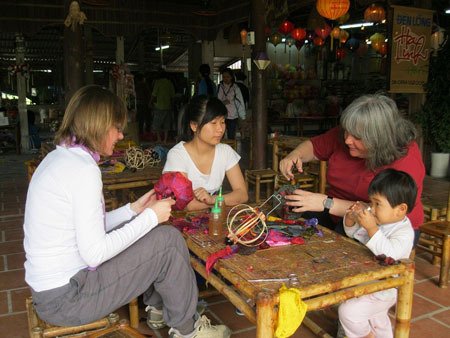 Visit around the village and partake in a wood carving activities for which the village is famous for, then you’ll continue cycling to Duy Nghia sedge mat making village. 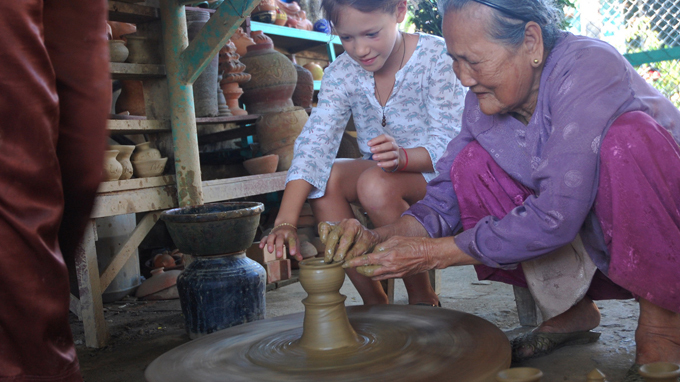 Upon the arrival at Duy Nghia village, you’ll visit some local families making mats and enjoy the short break. The route takes you through paddy fields and along lovely rivers to Duy Hai village where local people make fish sauce. Taking a rest before continuing the journey, you will experience another local boat ride to the water coconut and bamboo carving village. You’ll have a chance to visit a family that makes a lot of bamboo things such as bamboo chairs, bamboo tables, bamboo lamps, bamboo telephones and even bamboo bicycles! After lunch at a local family with unforgettable memories you’ll continue the journey to Tra Que organic village through the rice paddy fields and hamlets. Here you’ll learn how the local people plant so many different herbs and vegetables. Enjoying a special juice made from the local herbs and you’ll cycle back to Hoian and end the great trip here.